The Syrian Foreign Ministry has condemned Turkey’s “repeated crimes and attacks” on the Syrian people as well as violations of Syrian sovereignty and territorial integrity, in two letters to the UN, Syria’s SANA news agency reports. The ministry expressed its discontent with Turkey’s actions in letters sent to the UN secretary general and the current president of the UN Security Council. In the letters, the Syrian authorities ask the UNSC to exert influence on Ankara and force it to put an end to “repeated crimes and attacks against the Syrian people and violations of the sanctity and unity of Syria’s territory,” SANA writes. The Syrian Foreign Ministry again demanded that the UNSC fulfill its responsibilities to preserve international peace and security. The statement comes a day after SANA reported that 24 people, including 11 children aged under six and eight women, were killed in Turkish airstrikes and shelling of the northern Syrian town of Al Bab. The news agency said it just the latest in a series of similar attacks carried out by the Turkish military in the Al Bab region. On January 11, nine people were reported killed and 57 injured in Turkish attacks on the towns of Al Bab, Baza’a and Tadef, while two Turkish attacks on Al Bab in late December 2016 reportedly claimed the lives of 88 civilians in total. In the meantime, Turkey said on Friday that it was close to retaking Al Bab from Islamic State (IS, former ISIS/ISIL) militants. “The operation to gain complete control of the al-Bab region has neared its end and the resistance of [Islamic State] terrorist group has largely been broken," the Turkish military said in a statement. However, the terrorists still control 90 percent of the town, according to Reuters. The Turkish offensive on Al Bab is part of Turkey’s Operation Euphrates Shield, which started in northern Syria on August 24, 2016. 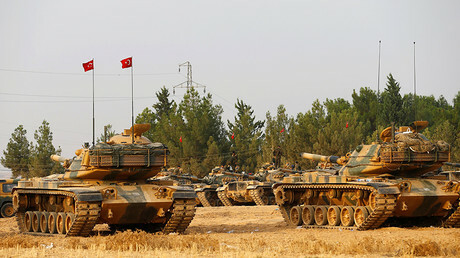 Ankara deployed ground and air forces to Syria with the stated goal of retaking areas held by Islamic State and securing its southern borders. 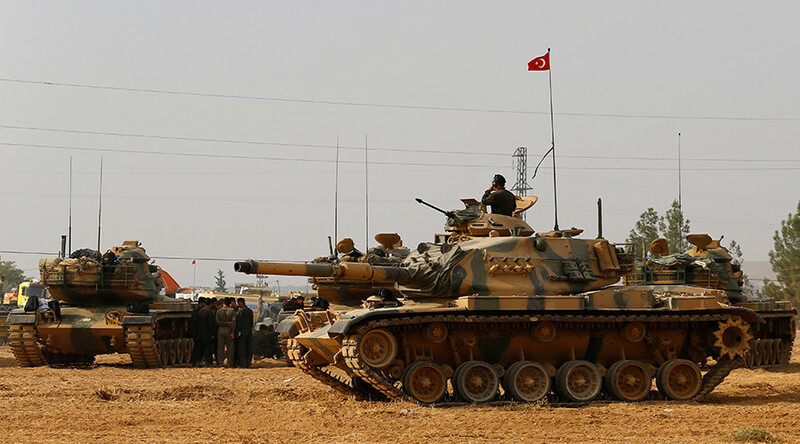 Turkish forces also engaged Kurdish YPG militia, however, with some critics claiming that suppressing Kurdish enclaves in Syria was the true goal of the operation. In late December 2016, the Turkish military said that 1,294 Islamic State militants had been “neutralized” during the operation, in its fifth month at the time, with 1,171 of them killed. Turkish forces also “neutralized” 306 Kurdish YPG fighters, killing 291 of them, the ministry added. Meanwhile, Bashar Jaafari, the head of the Syria’s government delegation in Astana, told Russian Interfax news agency that direct talks between Ankara and Damascus on the sidelines of the negotiations in Geneva or Astana are “impossible” unless Turkey stops the occupation of Syrian territory and withdraws its forces. “As long as Turkey occupies a part of our territories, we are not planning” any direct talks with Ankara, he said, as cited by Interfax. On Friday, Jaafari already sharply criticized Turkey’s actions and its behavior during the latest round of negotiations on the nationwide Syrian ceasefire regime. He particularly demanded that Turkey withdraw its troops from Syrian territory and respect Syria’s sovereignty, accusing it of attempts to “start up the fire” of the conflict and “act as a firefighter” at the same time. Jaafari further drew attention to Turkey’s relatively low-level delegation in Astana, saying that its approach contradicted its status as a guarantor of the ceasefire in Syria. 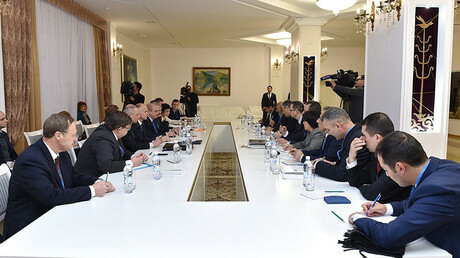 He added that Turkey’s “irresponsible behavior” – particularly its late arrival to the talks – demonstrated that the Turkish delegation actually aimed to derail the Astana peace process.